At-home products have come a long way in recent years, giving us wider choice and better results than ever before. 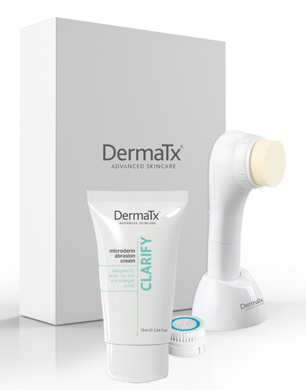 Now, in a trend set to continue, we have salon equivalent products that can be used safely and effectively at home- it’s time to delete that filter app…..
With a choice of 3 different microdermabrasion creams for rejuvenation, brightening or clarifying, the DermaTx system will have you polished and glowing in no time! The system includes a resurfacing device with interchangeable heads for deep cleansing and exfoliating. The massaging action of the device, paired with the foam head attachment, gently and effectively works the fine microdermabrasion crystals over the skin to remove dead cells and enable the active ingredients to penetrate easily. The brush attachment (which has been proven to cleanse 4x more effectively than manual cleansing) can be used between exfoliation treatments to keep the pores clean and the skin soft. This is a really simple and efficient route to smoother, healthier looking skin (just remember to clean and replace brush heads regularly, please!!). Now this is an exciting one! A combination of brightening, tightening and lifting benefits in one product- including the highest level of active ingredients found in any Perricone MD product! Now that’s active! (btw, don’t be alarmed by the term ‘active’, it simply means the ingredients that create the results! For example, the active ingredient is toothpaste is sodium fluoride, all the other ‘inactive’ ingredients are necessary to create the smooth paste). You apply a pea-sized amount of Intensive Base 1, allow to absorb then apply a pea-sized amount of brightening activator over the top and leave for 20 minutes before washing off. It’s a miracle! A stinky miracle (sulphur-like) but a miracle all the same! Pores are more refined, tone looks more even and skin is glowing! Great for all ages and skin types except sensitive skins *Tip for dry skin users; apply a rich night cream over the top during use. This is one of the best ‘spot treatments’ to hit the market for a while; a natural, high performance product without chemical additives or irritating medicine, and it actually works! It can be used as a weekly mask treatment to reduce blackheads, pore size, redness and inflammation or it can be used as a stand alone spot treatment to reduce and heal spots before they become a major event on your face! 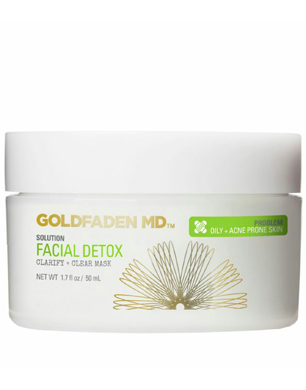 Goldfaden MD is famous for offering clinical results via gentle and safe daily use products so it is no surprise that the Facial Detox contains soothing Zinc Oxide, natural antiseptic Sulphur and purifying Camphor to stop those spots in their tracks. 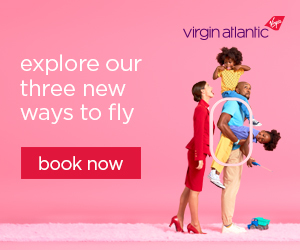 Now for something totally new; a 4-week reset programme to reboot your skin, stimulate cellular communication, reduce wrinkles and restore the skins texture. This really is as current as you can get when it comes to skincare. We are exposed to so many different types of products and ingredients these days and our skin can get confused. The confusion results in our skin reacting to things that it previously hadn’t and not enjoying products that it used to. 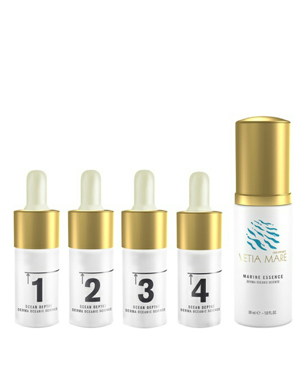 The Rejuvenescence Activation Treatment (or RAT as it is affectionately known) takes your skin back to its virgin state, the treatment contains 4 numbered vials and a marine activator that you add to each vial creating a milky emulsion you apply on its own, morning and night. The entire Vetia Mare range is incredible; centred around marine plant life and its ability to regenerate, adapt and thrive in an ever-changing, often-polluted environment, and RAT is at the heart of the collection. For the first 3 weeks I didn’t see any improvement (in fact, my skin seemed to behave stranger than ever) but at the start of the 4th week I started to see it. Skin cell turnover is on a 4-week pattern, so it makes sense that I wouldn’t see results straight away- this product is working well beneath the surface! 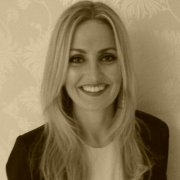 By the end of the 4-week treatment my skin was beaming with vitality, it felt more supple and generally looked healthier- as though it was lit from within! This is the perfect treatment for times when you feel at a loss with your skin, when it isn’t looking or behaving like it should or for those big occasions that you must look your best for! 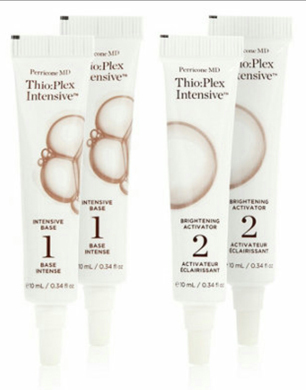 I personally plan to use this twice a year for radiance maintenance!